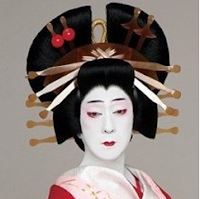 Kabuki Theater: A traditional Japanese play in which actors wear flashy costumes and masks. In American politics, Kabuki has become a metaphor for “posturing” or “a performance in which nothing substantive is done. The mask symbolizes a suggestion that the audience—or public—is being deceived. On December 3, 2014, John Garrett Smith was convicted in Clark County, Washington of attempted murder in the second degree, and sentenced to twelve years in prison.His conviction was overturned on appeal in October 2016, only to be reinstated in November 2017 by the Supreme Court of Washington State. The state courts have debated only the legal technicalities of the case, they have yet to address the alleged fraud that led to Smith’s wrongful conviction.Vancouver Police Detective Sandra Aldridge built the State’s case against Garrett Smith on a foundation of “Kabuki Theater”. Prior to trial: ·Garrett Smith requested withdrawal of his counsel (Josephine Townsend) four weeks before a bench trial due to statements she made to prosecution implying Smith’s guilt, refusal to speak with him about the upcoming trial, and unwillingness to include critical evidence and call key witnesses for Smith’s defense.